Hello everybody! It’s me, Supermarine here again, with my 25th CRA guide! I am super excited! 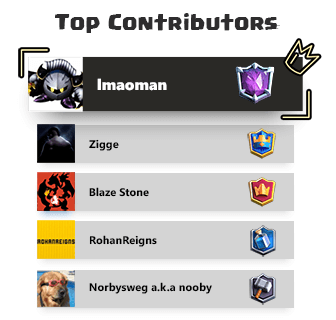 I’ve once again gathered friends and clanmates, mainly to celebrate the April Update, to help me out with another one of my Ultimate Guides: The Ultimate Guide to Lava Hound v2! It will explain all the things you can use with and against it, some decks with him (or her), and more! Additionally, I’ve gone more in-depth with the list of Counters and added a couple more decks in the Decks section! I even added another video! First though, let’s start with the basics. Lava Hound is an Arena 4 Legendary Card with very high hitpoints that costs 7 Elixir. Upon death, it splits into six spread out Lava Pups. These Pups have the same health as a Minion but only deal about half the damage. 18/5/16, increased the Lava Hound’s hitpoints by 3% and Lava Pup’s hitpoints by 9%. 21/6/16, increased the Lava Hound’s damage by 28%. 30/11/16, decreased the Lava Pup’s hitpoints by 1%. On 18/5/16, a Balance Update increased the Lava Hound’s hitpoints by 3% and Lava Pup’s hitpoints by 9%. 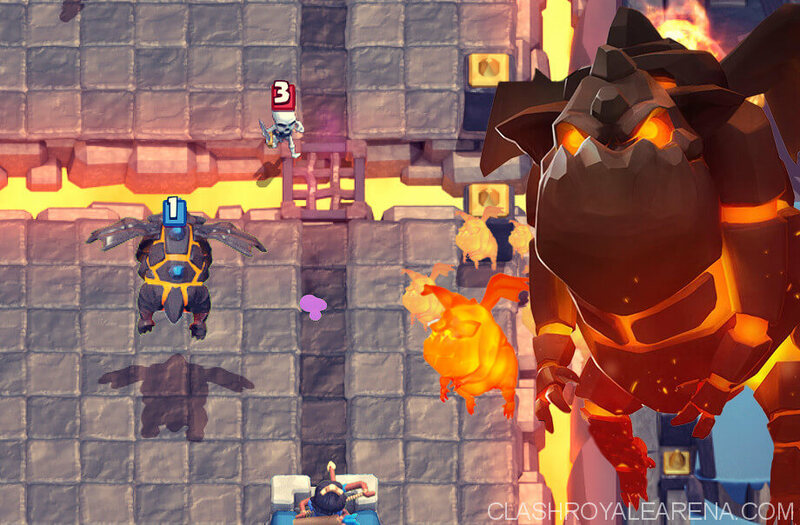 On 21/6/16, a Balance Update increased the Lava Hound’s damage by 28%. On 30/11/16, a Balance Update decreased the Lava Pup’s hitpoints by 1%. This was to fix a rounding error where a level 12 arena tower should’ve been able to kill level 4 lava pups in two shots. On 24/1/18, a Balance Update increased the Lava Hounds hitpoints by 5%. 24/1/18, increased the Lava Hounds hitpoints by 5%. The Lava Hound deals extremely low damage and only targets buildings, but the Pups attack anything. 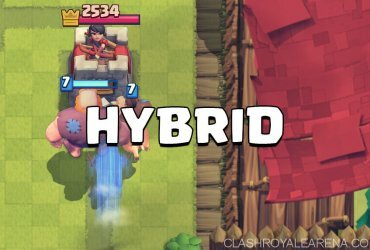 Hound is near incapable of killing any air targeting troop or structure, but the Pups can take out a wide variety of troops, including eWiz, Archers, Bats, and even Executioner, as they’re spread out! Pups are capable of killing glass cannons in just about 10 shots, and since there’s six of them, it won’t take long before that pesky Wizard, Inferno Dragon, or eWiz is dead! They can be cleared out by most low damaging spells, so keep them safe! Since Lava Hound has high hitpoints, you can use it as a tank for another air troop like a Balloon or Inferno Dragon. You can also use it as a secondary win condition. Win conditions or tanks for the Lava Pups will greatly help you get damage on the Tower with the help of support spells. Another viable, but risky strategy is to make the Lava Hound your main win condition and another card a second win condition or threat card, and elevate the Lava Hound’s threat level using spells. When playing against Lava Hound, use an air targeting swarm to attack anything behind Hound, then use a tank killer to kill it. Spells will greatly help against the Pups. Inferno Tower: This is a no brainer. Once it hits its third stage of damage, the Hound will just get melted away! Just be careful of reset cards (Zap, Lightning, etc). Inferno Dragon: See Inferno Tower. Also, you can counterpush with the Inferno Dragon too! Mega Minion: Even after its many nerfs, it is still a good option to kill Hound with due to its high damage per hit. However, you may need to pair it with a card that deals high DPS, like Bats, in order to clear out Pups. Minion Horde: Minion Horde’s high DPS is great at shredding down the Lava Hound and its Pups. 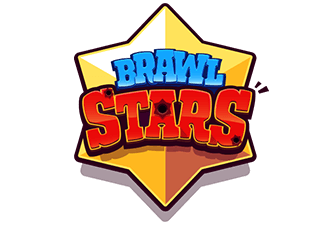 However, be very careful of spells like Arrows, Fireball, and Poison, as well as area damage troops like Wizard, as they can take down the Horde with ease. Musketeer: Musketeer is another great counter to Lava Hound. Her attack speed allows her to deal really good damage to the Hound, and it helps out against Pups as an added bonus! You can also counterpush with her as well! Arrows, like with Minions, are capable of one-shotting Pups before they do any significant damage. Ice Golem is great to place in the middle of the cluster of Lava Pups so it can soak damage, get slows in, and give more time for the Arena Tower to take them all out. Knight, like Ice Golem, cannot target the Pups themselves, but he can soak enough damage so the Arena Tower can take them all out. Note that Knight cannot slow Pups like Ice Golem can. Archers are very cheap, durable ranged attackers that can survive Zap, Log, and even Arrows and still keep on shooting! This also means that the Pups cannot one-shot or even two-shot the Archers too! Perhaps every Lava Hound player’s worst nightmare is the Tornado. It moves the Lava Pups back a ton, and paired with a splash troop can be really deadly to Balloons or Baby Dragons or anything of the sort! Hooray! We finally get to some decks! I will be giving a brief overview on each deck just so you folks can learn to play them more efficiently! All of these were either posited on CRA before or tested by my clanmates. We all know this one, don’t we? This is the Classic LavaLoon! Basically get the Balloon behind the Hound with some support, and combined with your spells, you’re golden! You also have Minions, Gang, and Tombstone as well for defense against Hogs or Rams or anything of the sort. Made by You Won!, this LavaLoon is a little different. Rather than using the Fireball to kill swarms, you have the Arrows. There is also a Rocket rather than the more popular choice, Lightning, to kill Infernos or glass cannons such as Musketeers. You can replace the Arrows for Zap. I have actually found it quite viable! This variant of LavaLoon by Haru Cruz uses similar principles as the Classic LavaLoon, except that you have a Rage to elevate the threat level of the Balloon. However, this was sacrificing swarm clear, so to fix the swarms problem, Baby Dragon was added to help dispatch them. Most cards like Tombstone and Mega Minion remain in the deck because of their roles in the deck, which is being tank killers. Use the Inferno Dragon as a threat card to take the Tower! You have Skeletons and Bandit for defense and pressure, as well as two low-damaging spells! Poison works great if you don’t have your Baby Dragon in cycle! Bandit allows you to snipe at glass cannons attacking your Lava Hound or any of your Dragons. Using the Tower’s health as a resource is a generally good idea, as long as you get any heavy tanks killed with Inferno Dragon as soon as possible. The modified version of Tag’s Airfecta, made by me! This Airfecta has much greater defensive capability than the original (Tag, if you’re reading this, no offense). We have the Tombstone to kite tanks, Guards to attack the support, and Inferno Dragon to kill and counterpush with. Like the original version, Bandit can be used to snipe glass cannons attacking your Hound or Dragons. This deck made by HEbarbian uses the Lava Hound and Miner as win conditions, and the Flying Machine is meant to be a threat card that forces opponents to react. Miner Poison pushes work great for chip in Single Elixir, and if you can add in the Lava Pups as well during Double Elixir, the opponent will be in massive trouble! In terms of defense, you are still quite solid, with the Skeleton Army, Mega Minion and Tesla dealing heavy damage to tanks and mini tanks. Zap can be used for swarm clear on defense or to reset an Inferno Tower/Dragon on offense. Made by Haru Cruz, the Raging Pups deck has a similar principle to the Raging LavaLoon, except the Pups are your sole source of damage. Skeleton Army is a great card to pair with this push, but only use it for the counterpush. Once again, we have the Baby Dragon for swarm clear, and Lightning to reset Infernos as opposed to Zap. Finally, a deck with the Skeleton Barrel! Made by Huncho Houndini, this falls into more of a control deck, with Miner, Skeleton Barrel, and the Lava Pups doing slow chip. Goblin Gang also works, but be sure to not use it too often on offense, as it is your main ground swarm on defense. Single Elixir is when most of the slow chip happens, and Double Elixir is when things ramp up. The Lava Pups and the Skeleton Barrel Skeletons can all be used in conjunction with Miner to maximize damage. Against any Infernos, use Zap. Made by Lolman (you can call him Lmaoman or Rolfman), this is the deck of the week! It features Skeleton Barrel over Inferno Dragon, and retains the Miner and Baby Dragon. Poison is used over Fireball to have a better synergy with Miner. You have Gang as your main ground swarm, and MM as a tank killer, but use them wisely, as there is no definitive defensive building in the deck! This was posted on CRA before. Check it out at here! Bonus Videos: Some extra videos of popular YouTubers playing some of these decks! So that’s all for my 10th guide anniversary! Hope you guys learned a lot about using and countering Lava Hound! See you next time! 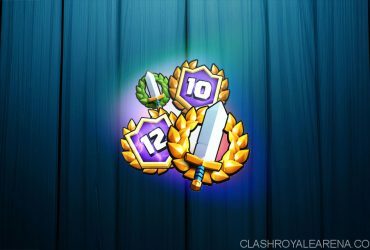 How to get 12 Wins in Grand Challenges – 7 Proven Tips For You!